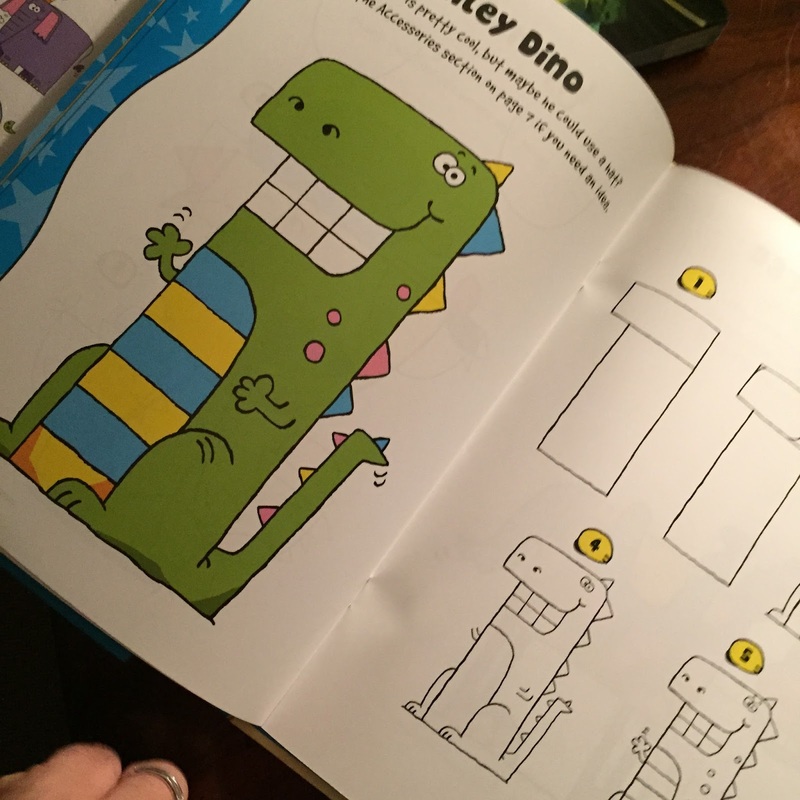 A young artist's all-inclusive guide to drawing cartoon animals, characters, faces, and expressions. 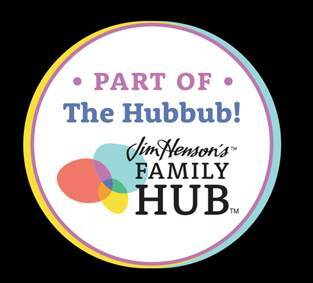 Children will love learning about cartooning with this all-inclusive kit, which features interactive cartooning lessons and art supplies in an easily portable format for on-the-go fun and creativity. The secure magnetic closure houses all of the necessary tools and materials so that children can express their creativity wherever they are. 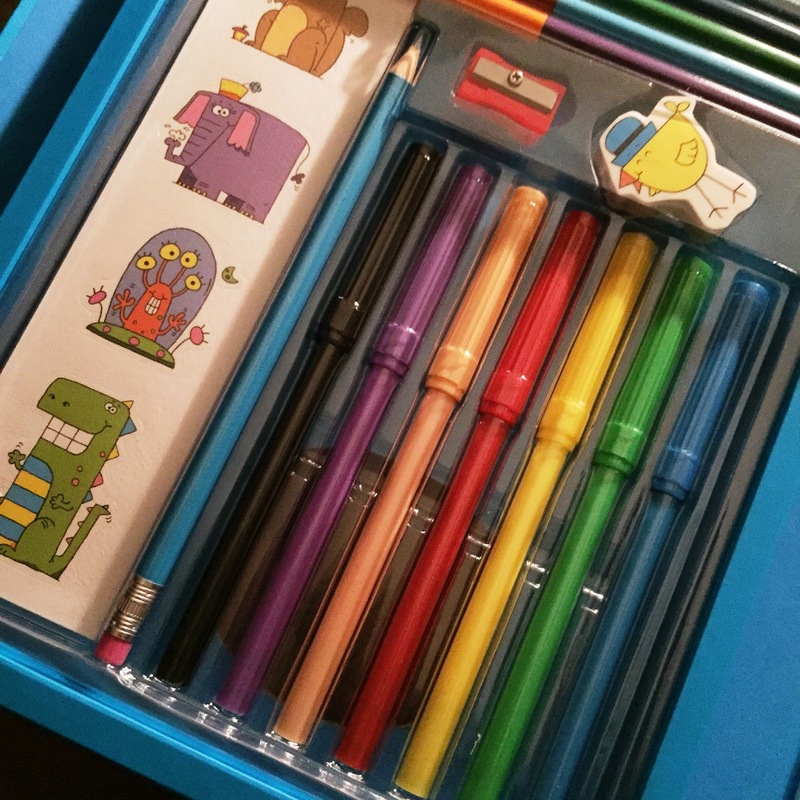 This fun, colorful kit includes a 40-page drawing book, loose-leaf drawing paper, a drawing pencil and sharpener, an eraser, colored pencils, markers, and stickers. 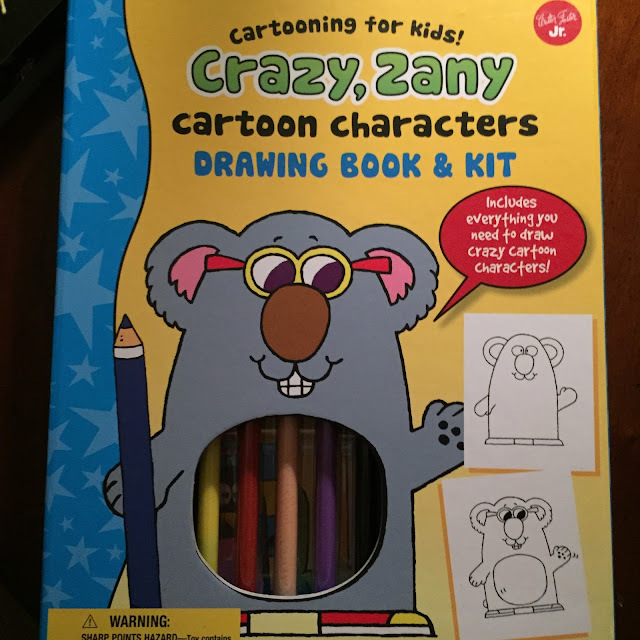 Featuring a variety of subjects, including quirky people and whimsical animals, as well as fantasy creatures, robots, and space aliens, Crazy, Zany Cartoon Characters Kit provides young artists with the essential concepts for drawing in true cartooning style. Each project starts with a simple shape, such as a circle or square, and then builds upon the previous steps, progressing to a finished full-color cartoon character. Along the way, tips and tricks from a professional illustrator are included to guide children in their artistic efforts, making this cartooning kit an experience that is sure to make drawing a new favorite pastime. This is a great kit for kids. 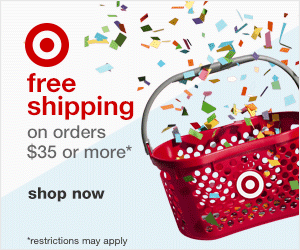 It comes with a 40 page drawing book, markers, sticker, colored pencils, paper, and more all in one place. This is one of my favorite gifts to give because I have always given the children in my life books BUT I love also fostering their creative nature. This is the best of both worlds. They learn to draw head shapes, expressions and more in an easy step by step process! 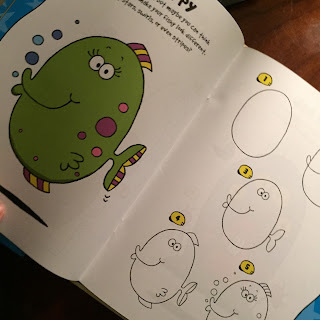 The book gives the idea of a fun, whimsical creature and the steps to draw it. The get an art lesson and get to be creative too! LOVE IT! PLUS it all comes in a neat, magnetic box that keeps everything contained.